Ever wondered about living the lifestyle of the rich and famous? The annual Sanctuary Cove International Boat Show (SCIBS), held annually from Thursday 24th to Sunday 27th May, hosts not only some of Australia’s most luxurious super yachts but also the best in super cars. This is the 30th year for the boat show and visitors can see some of the best boats afloat. 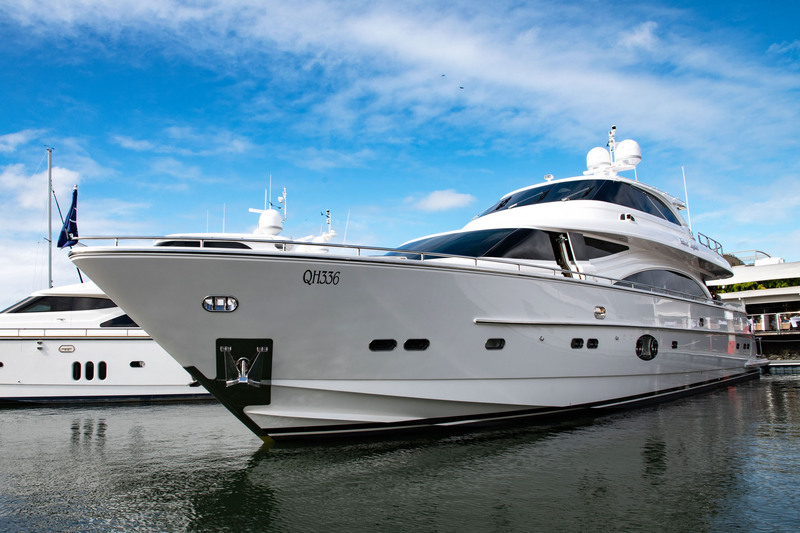 They include the Gulf Craft’s Majesty 100 ‘One World’, which accommodates up to 12 guests in five staterooms, each with en-suite, and a crew of six aboard. Or maybe the 94-foot Horzon E88 with a bar and heated jacuzzi on the flybridge is more your speed. Speaking of speed, as well as the sleek super yachts moored around the Sanctuary Cove waterside precinct, onshore at Supercar Street you’ll find some of the latest models from the finest marques in motoring. The event will be the Australian launch for Bentley’s new Continental GT while other new treats include the Aston Martin DB11 V8 Coupe, the McLaren 720S and the Rolls-Royce Dawn as well as Maseratis, Lamborghinis and Porsches. SCIBS is, however, more than just about the top echelon of being afloat. There is something for all boating interests and budgets from fishing dinghies to family launches, jet skis, inflatables and all manner of maritime accessories.